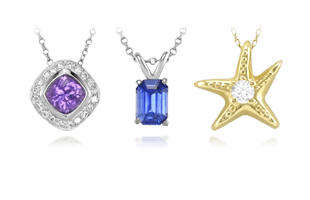 The elusive and earthy feel of star sapphires is a wonder to behold and provide a truly special look to all styles of jewelry. 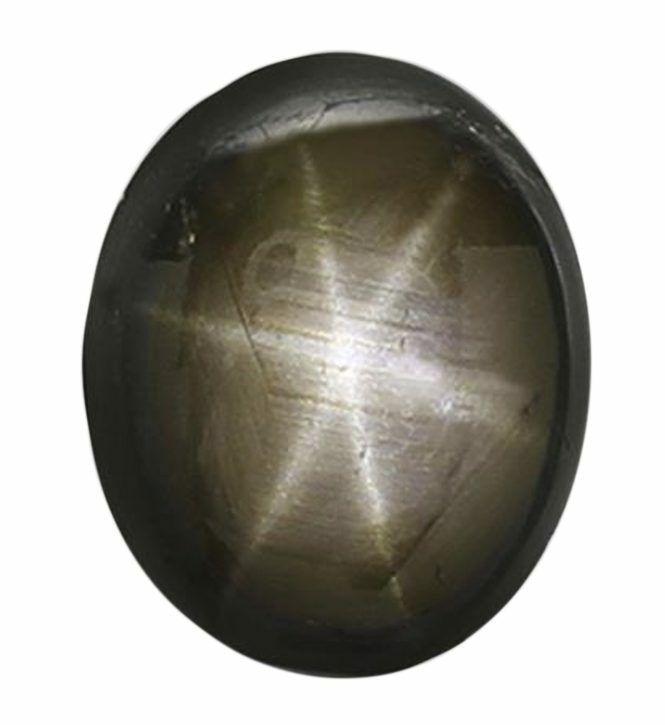 A Ceylon black cabochon star sapphire. Star sapphires have a long and fascinating history of being highly coveted and prized as very special and unique gemstones. Their special feature called asterism lends an added mystical element, and many throughout time have felt a special connection to these stones. Many of the largest sapphires ever discovered have been star sapphires, and they are often used to create large statement pieces of jewelry that are worn to show-stopping effect. A prominent feature of the “Golden Era” of Hollywood, star sapphires seem to be more reminiscent of the earth they came from and easy to be a fan of. Ideally, the star in a star sapphire should be perfectly centered when viewed from directly above, with each ray of equal length. The rays should be bright, sharp, and clearly defined–not blurry or fuzzy–and they should reach from the crown of the cabochon to the base without interruption. 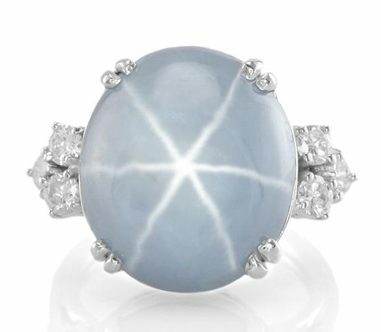 A Burmese blue cabochon star sapphire and diamond cocktail ring. 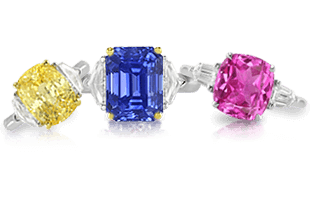 Star sapphires occur in almost every color seen in transparent sapphires, although yellow, orange, and green star sapphires are very uncommon. The optical phenomenon responsible for the star sapphire’s shimmering rays is called asterism, from the Latin word astrum, for “star.” Asterism is caused by small needle-like inclusions of the mineral rutile. Black star sapphires owe their stars and their dark color to included crystals of the shiny mineral hematite. 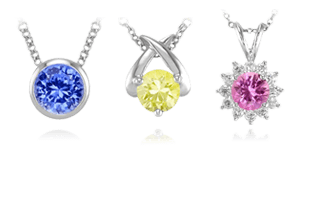 Clarity in star sapphires is a complicated issue. 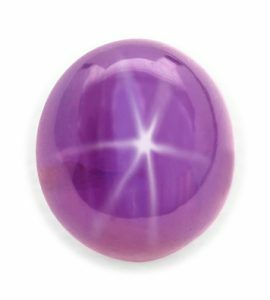 The ideal star sapphire would be entirely transparent , but the rutile silk that causes the star phenomenon ensures that every star sapphire is to some degree included. Fine star sapphires must have enough silk for a bright, well-defined star, without compromising the stone’s transparency. 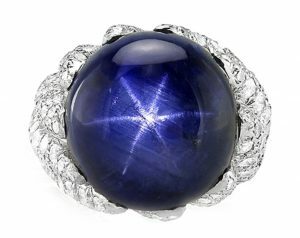 How Does Cut Affect A Star Sapphire? A gorgeous pink star sapphire with strong asterism. Proper cutting is critical for star sapphires, not only for their overall appearance, but to ensure a well-defined and properly oriented star. Be wary however, if you encounter an absolutely “perfect” star—many man-made star sapphires exist on the market and this is one of their telltale signs. 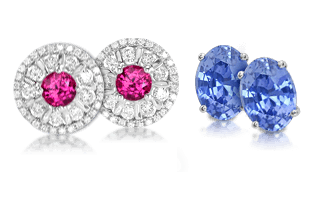 While most star sapphires remain untreated, they may be subjected to treatments to improve their color or to artificially induce the star phenomenon. Star sapphires can be heated to intensify their color, but this must be done at modest temperatures and with extreme care, so as not to obliterate the star-inducing rutile silk. What Is The Availability of These Stones? A lovely blue-gray star sapphire and diamond ring. Since the price of transparent rough has escalated in recent times, most star sapphires are subjected to extreme heat and sold instead as transparent stones. 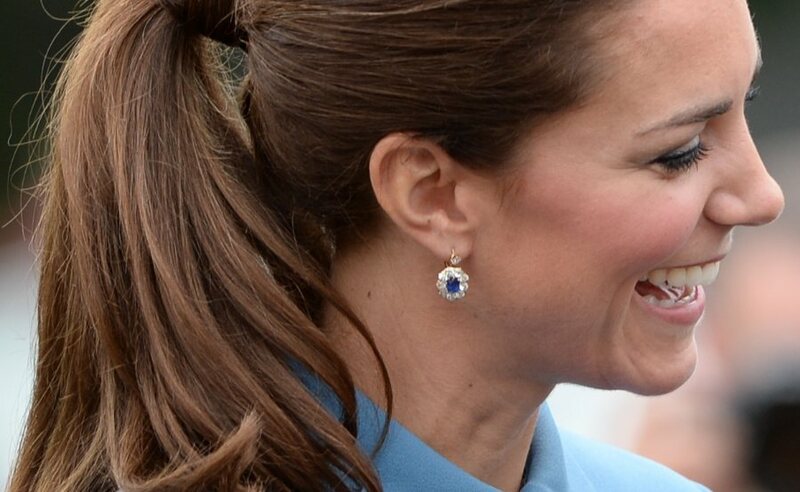 For this reason, fine star sapphires are increasingly more rare and difficult to find. The best stones are translucent to semi-transparent. Color saturation decreases as opacity increases, so while opaque star sapphires may have very bright, well-defined stars, their color can be dull and unattractive. The most common stars have 6 rays, and 12-rayed stars are considered exceptionally rare. A Ceylon blue star sapphire. 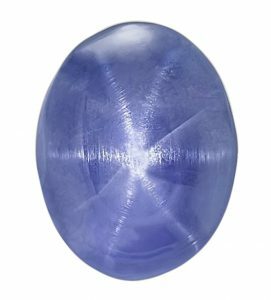 As mentioned above, it is rare that an exceptional rough star sapphire crystal isn’t subjected to heat treatment to turn it into a more valuable transparent stone. When they are unearthed and stay in their original state, star sapphires are found predominantly in Sri Lanka, but also fine blue star sapphires have come from Burma. Black star sapphires have been found in Cambodia and India. In our next section, we’ll take a deeper look at the long history and unique world of Cabochon Sapphires.